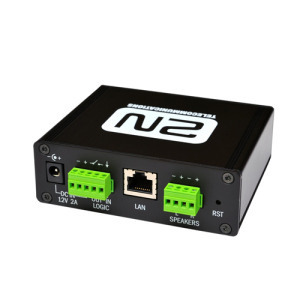 The 2N® NetSpeaker is an IP audio system that enables acoustic communication or other audio stream to be played from a given PC in a LAN/WAN network. 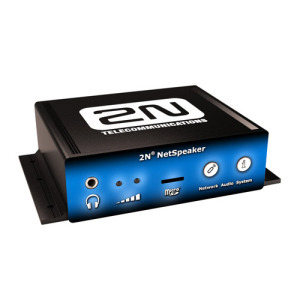 For audio transmission over IP all you need to do is connect a standard speaker or amplifier to the 2N® NetSpeaker, thus creating a virtual central broadcasting system. 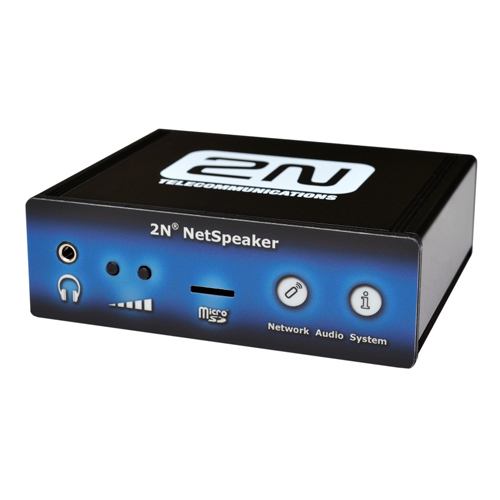 This allows for any audio to be played with the options to create separate zones with different communication content. 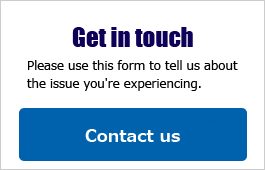 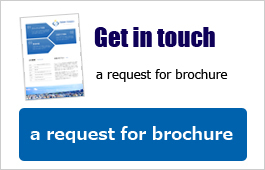 A use for this solution is found, for instance, in schools, shopping centres, office buildings, at train stations, in athletic, cultural or health facilities and in many other public spaces.